Today we’d like to introduce you to Lex Talkington. Lex, we’d love to hear your story and how you got to where you are today both personally and as an artist. I grew up in a small, rural farming and ranching community in southeastern Colorado. Naturally, this type of community is filled with do-it-yourselfers; people that rely on creative problem solving to making a living. My family and community influenced many aspects of my career throughout the years. When young, I was heavily encouraged by my family to pursue my love of creating and deconstructing things. Around the age of 13, I began painting and selling dried gourds that my family grew in our garden. This endeavor became my job throughout high school as I peddled my art across Colorado and into New Mexico. 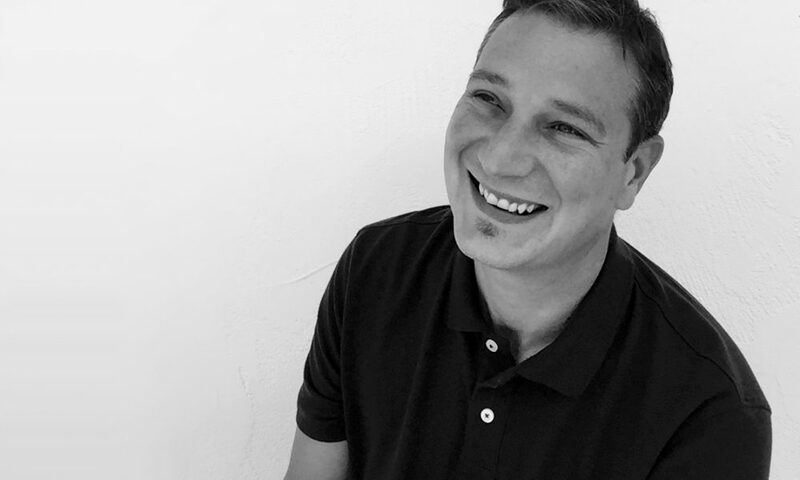 I went on to receive a Bachelor of Fine Arts in Graphic Design at Colorado State University, Fort Collins, CO. My graphic design career launched me into consumer packaging, branding, and advertising. In the early 2000s, I took my career to San Diego and transitioned into web and user interface design. I seemed to always gravitate towards the new shiny ‘tools’, techniques, and technology that started to explode throughout the 2000s. When Flash technology started to rise on the web, I switched my artistic brain over to learning to write code and went to work as a Flash contractor for a number of years. This new skill set opened many doors and eventually led me to a career in the embedded software engineering world where I worked on user interfaces for cutting-edge consumer electronics. In 2017, I experienced my first technology sector layoff. It was unexpected, but I had grown to realize it was always a possibility when working on new, start-up, consumer electronics. The layoff made me really question what I wanted to do next… I also questioned why the layoff seemed to be a big weight lifted from me. In the years prior to the layoff, I started to re-explore my artistic side in my spare time — I knew that the years of writing code, diagramming software and user-flows, and working in an agile environment, had bottled up a lot of creative ideas that I felt I hadn’t had a chance (or maybe never acted upon) to explore throughout my career. It was then that I went into my garage and simply started experimenting and realizing all the ideas had. I figured I could create a body of work while I searched the job boards hoping to find something that seemed a like a fit. The only thing that seemed to fit was what I was creating in my studio — I finally made the decision to commit 100% to art. 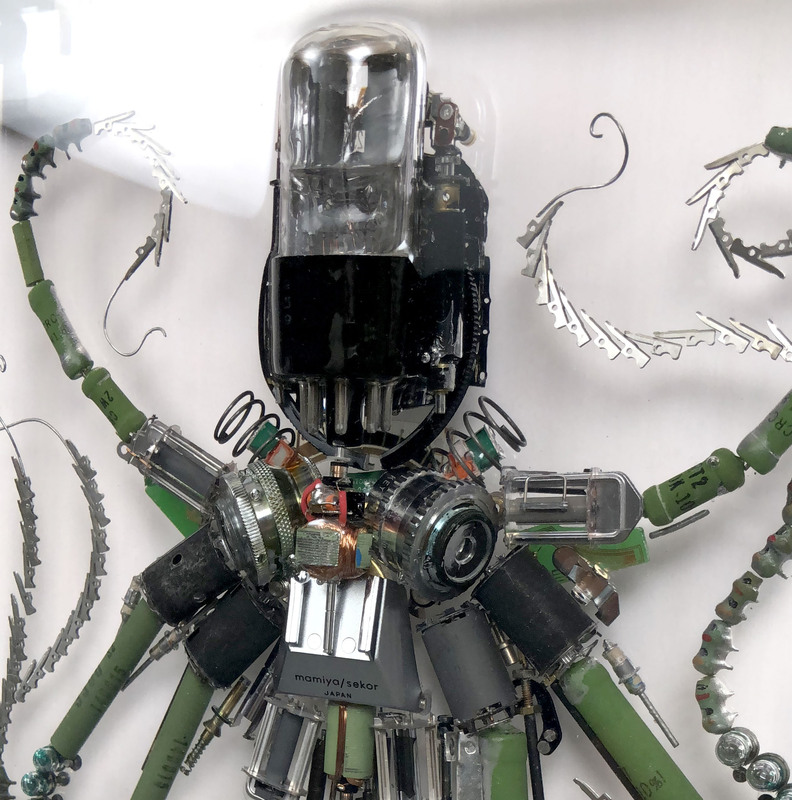 I create static and kinetic sculptures that are usually built upon found objects that I deconstruct. 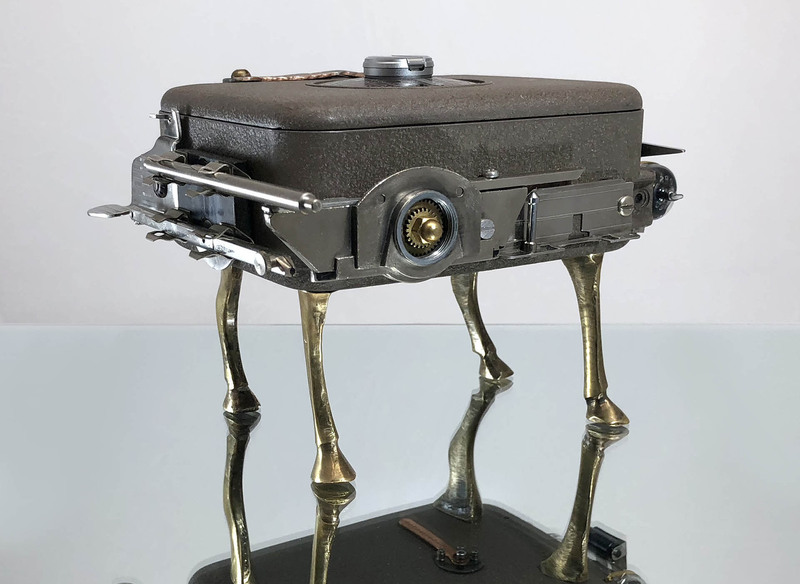 Most of my creations include parts from things like still and film cameras, old check-writing and adding machines or typewriters or other vintage metal junk. I have an extremely curious mind — I have always enjoyed taking apart old, vintage electro-mechanical devices to get a sense of how they work. 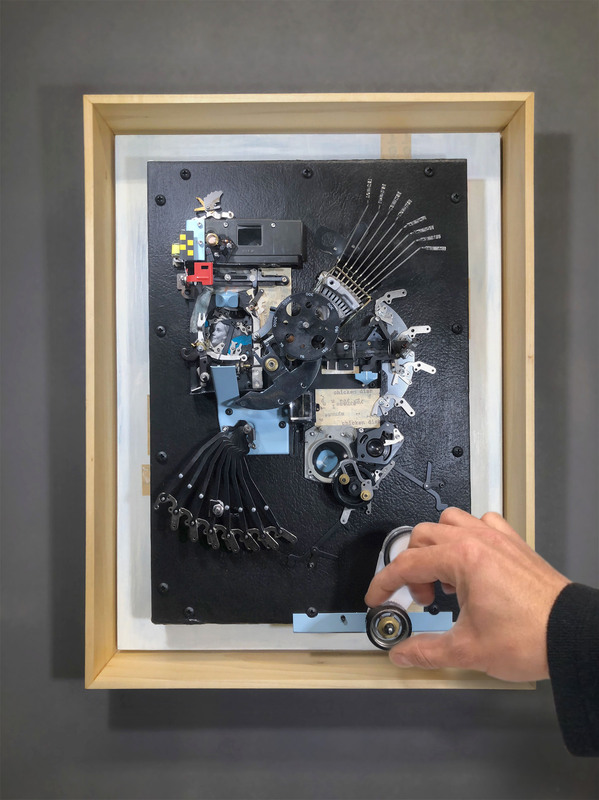 In all these electro-mechanical machines, I see mechanical DNA, cells, structures, biological forms — the building blocks to create surreal creatures, environments, and bio-mechanical objects. 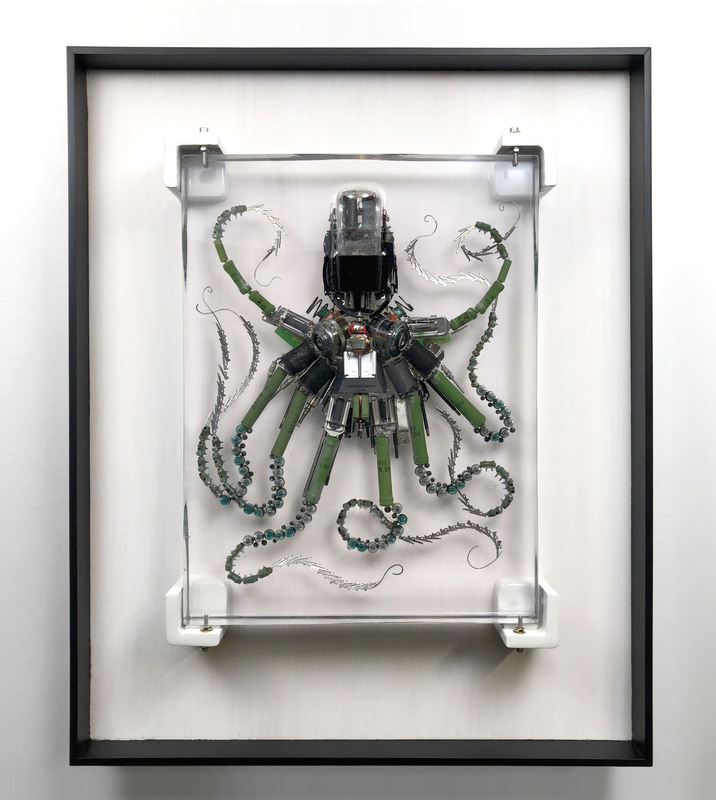 In my work, this fascination with mechanical/engineered objects overlaps with my experiences as a scuba diver and my fascination of the natural world — more so the tiny parts of the natural world. I enjoy creating creatures that may appear very realistic at distance, but as you get closer, you recognize that the biology of the creature is mechanical and machine-like. There is a mind switch when you see a living organism at first, but then see a series of abstract man-made parts – some may be familiar. 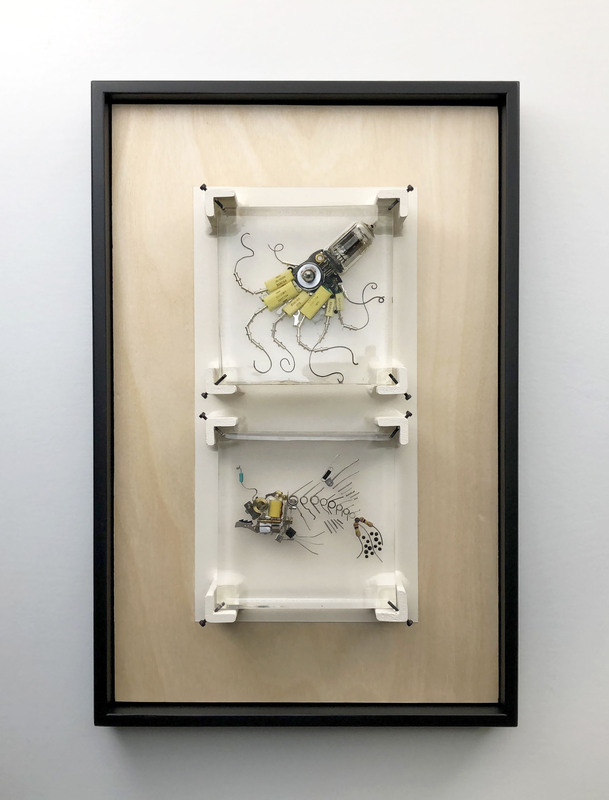 Some of my work is static assemblage work cast in various resins or simply put together using hardware. 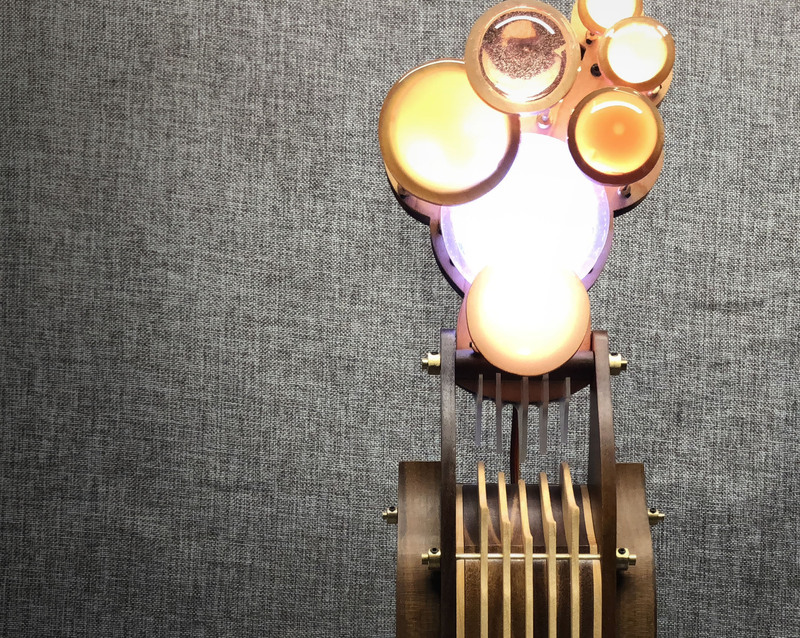 Other work mixes in traditional automata techniques and mechanics or the use of Arduino microcontrollers for the user to interact with. Quality of craft has been a keystone throughout my career — that is another area I focus heavily on within my art. I think the role of artists is constantly evolving based on the changes in the world, both from political and technology standpoints. But, some of the core artist roles of inspiring, disrupting, interpreting, sharing, communicating, and mesmerizing will always remain. Technology today allows artists to gain a much broader audience to their voice, but the audience is trained to only view something for a brief moment before moving to the next item. And, many artists have access to the same global audience, so it is easy to get lost in the techo-scape. Outside the current political atmosphere, I also see a change in my generation that grew up in the 80s and 90s surrounded by the tidal wave of technology. 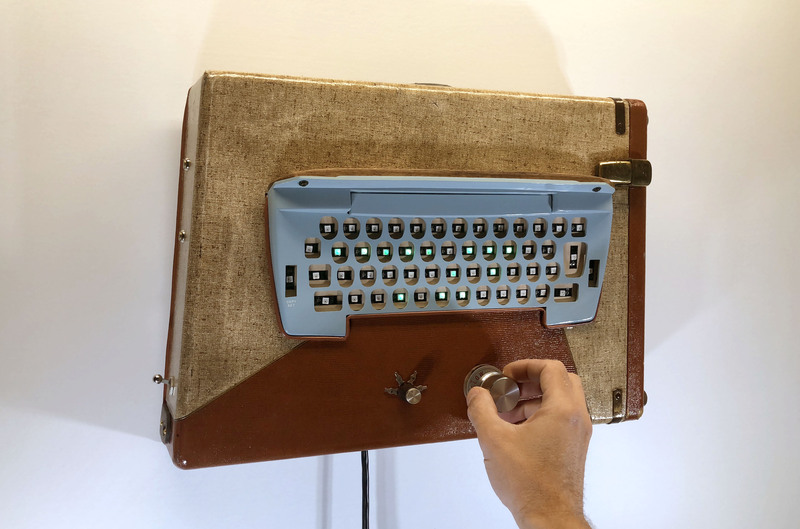 There is a lot of burn out in the technology industry — I wonder how that will affect the value of one-of-a-kind intimate objects in this world of repetitive technology and consumer goods. I continuously document much of my creative process at my Instagram account http://www.instagram.com/lextalkington where the support has been tremendous. My work can be viewed at http://www.lextalkingtonart.com. I currently sell my artwork through my Etsy storefront at http://lextalkingtonart.etsy.com. I do often submit work to art shows in the San Diego area. 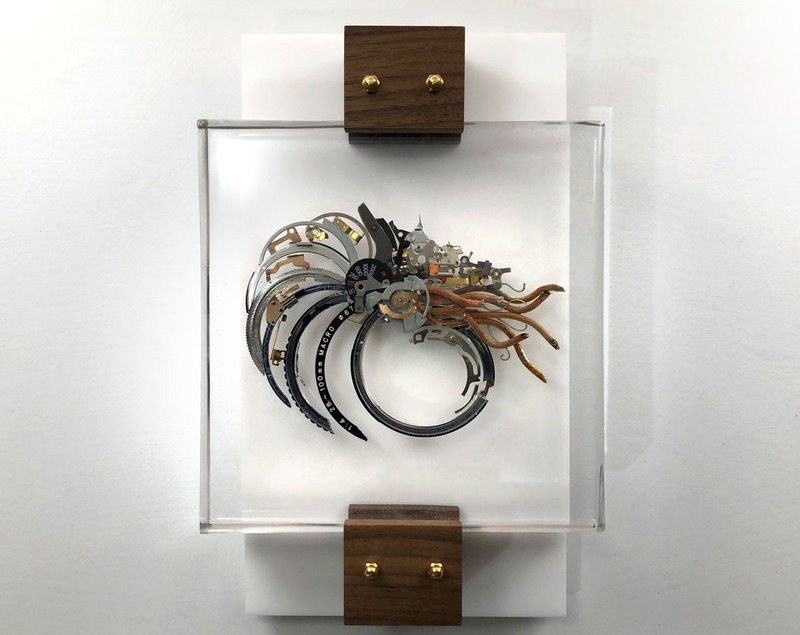 I will be showing / selling six pieces from my Mech-Fossil series at the upcoming San Diego Institute of Art C-Note show November 9-11th, 2018 (https://www.sandiego-art.org/cnote-art-sale/).